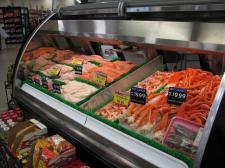 Experience the great quality and selection of our seafood in the meat department. Our staff will help you make the perfect selection and give you advice on how to prepare it. Don't forget, our recipe kiosk also is available for great seafood recipes.